We are now in fete season. Everywhere I drive, there are signs advertising school fetes: twilight fetes, morning fetes, Saturday fetes, Sunday fetes. And fetes in Canberra are huge. Someone told me that this is an historical legacy that goes back to the days when there wasn’t a lot going on in the restaurant/dining/entertainment scene in Canberra. So people made their own fun within their own communities – and boy are the fetes in Canberra good. 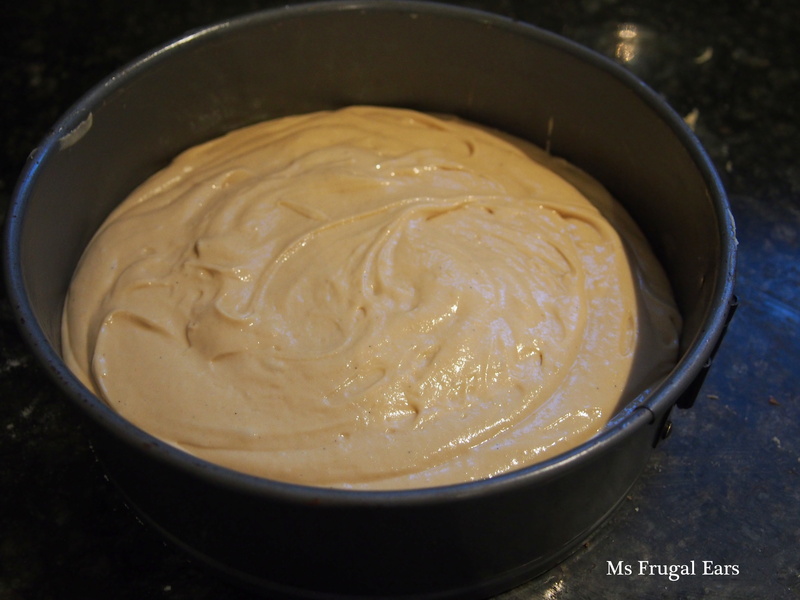 Tomorrow is the fete of my son’s school, and I baked frugal cake. There are some gifted bakers and cooks in my son’s school. All week the school P&C Facebook page has been showcasing the delights of what people have lovingly made – cookies baked with children, colourful lollies and cakes. And the crafty women have been meeting once a fortnight all year to produce items to sell. It is a privilege to participate and be part of the community. But as I work full-time as well as looking after two kids (oh, and blogging and writing in my spare time), my contribution will be more limited this year. It is a little bit of pressure actually, manageable, but still there – the sense of my dual mother/career woman roles crossing. So I baked a cake. 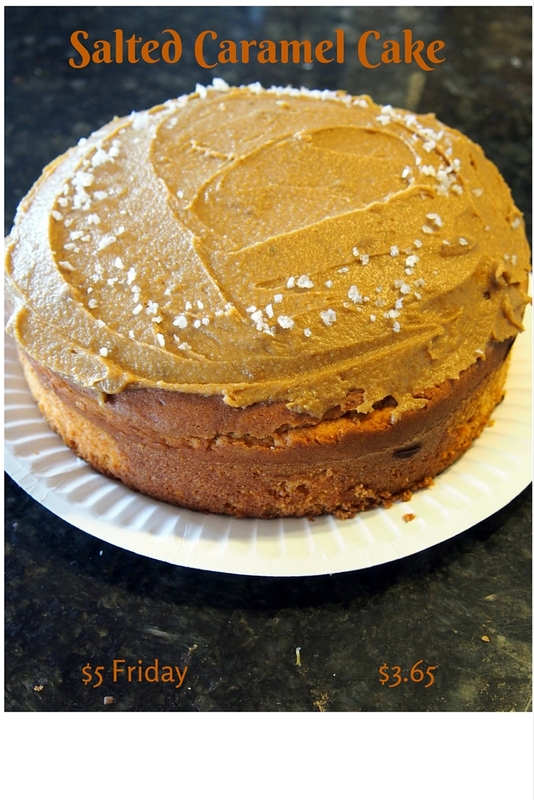 A $5 Friday frugal cake. “Mummy, can you make the best cake ever?” pleaded Big A. While they were with their Dad last night, I started to bake a cake (two actually) but then realised I didn’t have enough caster sugar. 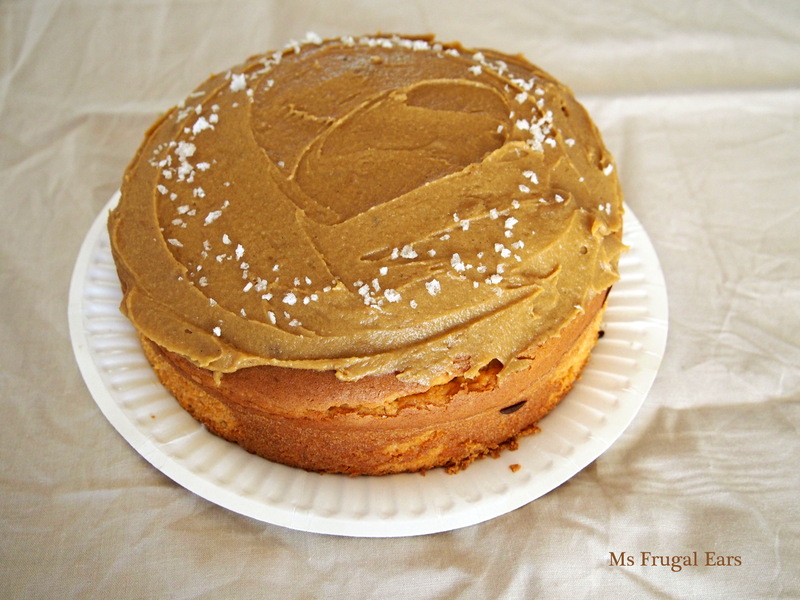 I decided to turn this to an advantage by adding brown sugar instead and creating a salted caramel cake. Well, it didn’t pass the six year old test but hopefully some adults will like it and buy it. Please do come down to the fete and say hi (and even better buy one of my cakes). Melt the butter. Add the sugars and beat until combined. Add the eggs, one at a time, and continue beating. Stir in the yoghurt, and then add the flour and salt in batches. Beat or mix well until combined. (This is a heavy cake. 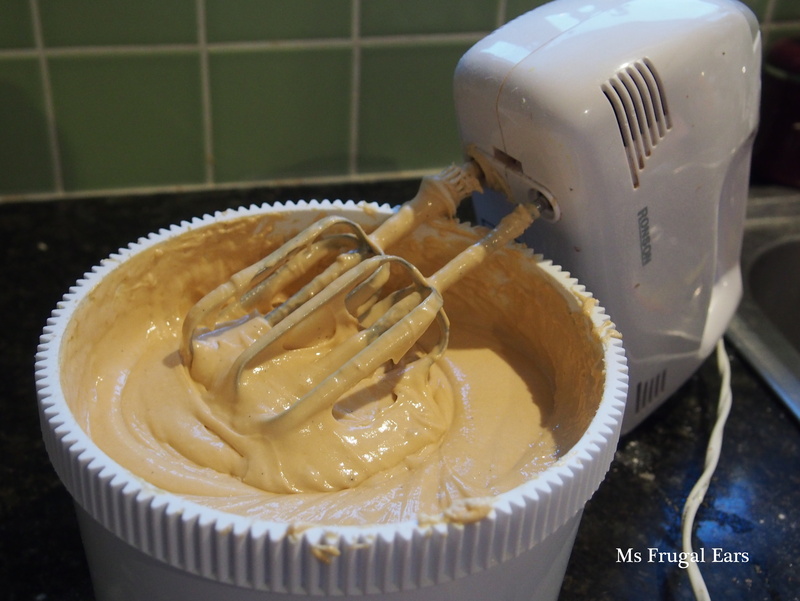 You can use electric beaters, but it doesn’t matter too much if you don’t so long as the mixture is well combined). 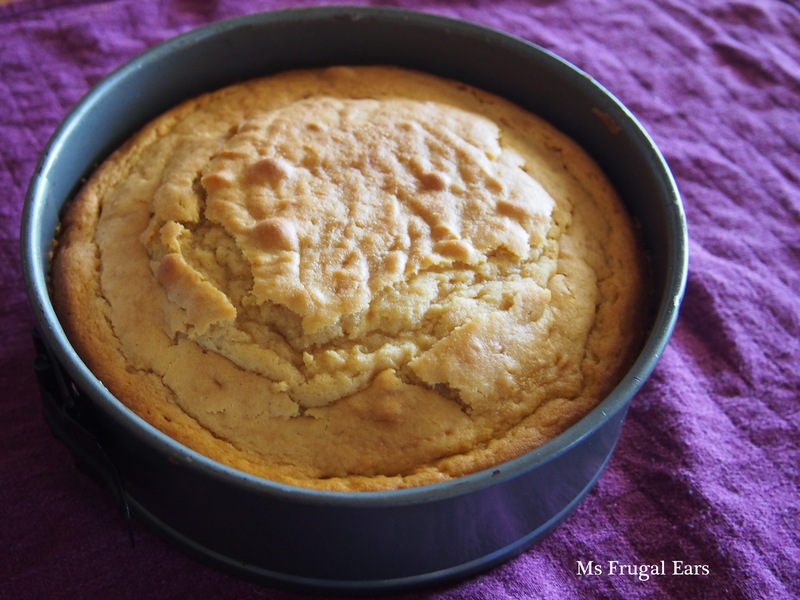 Pour into a greased pan and bake in a moderate oven (around 160C) until golden on the top and well done. Remove from the oven and allow to cool. 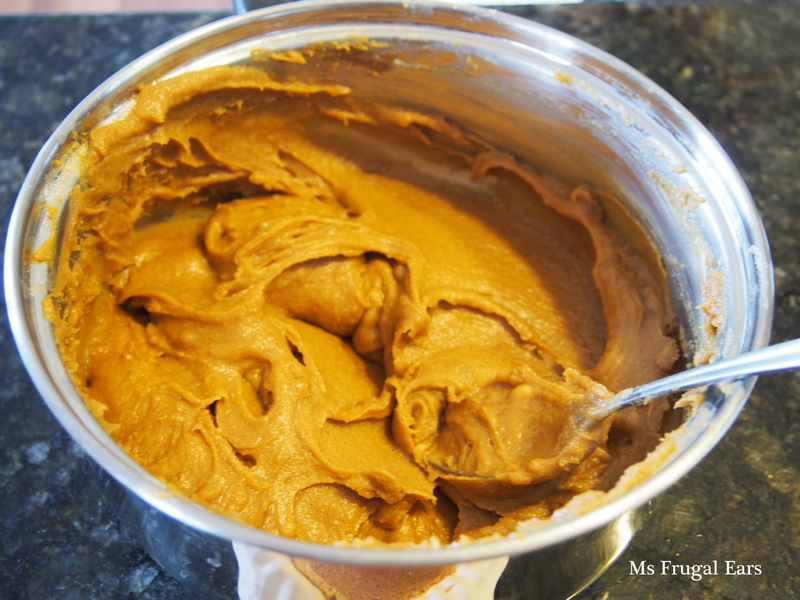 To make the icing, melt the butter and the brown sugar in a saucepan until both have melted. Cooked for around five minutes over a moderate heat until the mixture bubbles and caramelizes. Watch carefully so that it does not burn. 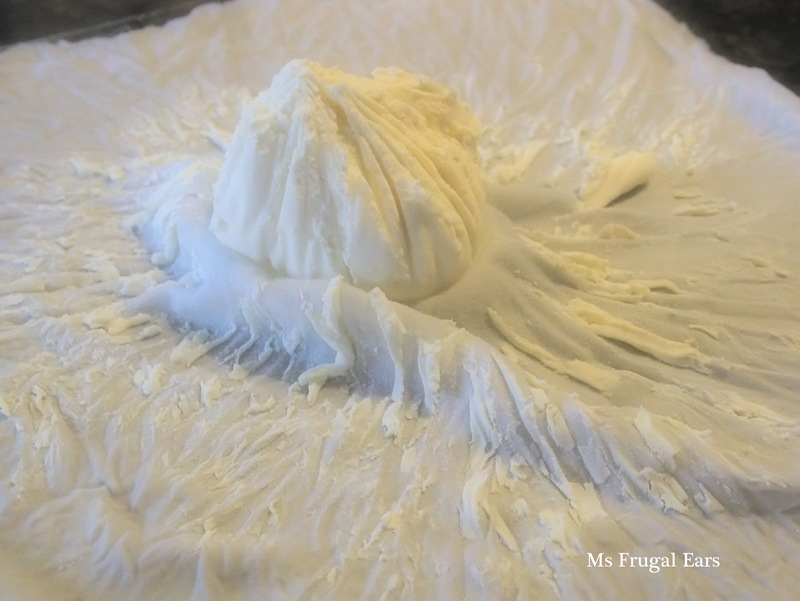 Remove from the heat, allow to cool and then stir in the icing sugar and cream cheese. Spread the icing over the cakes, decorate if desired with salt and enjoy. 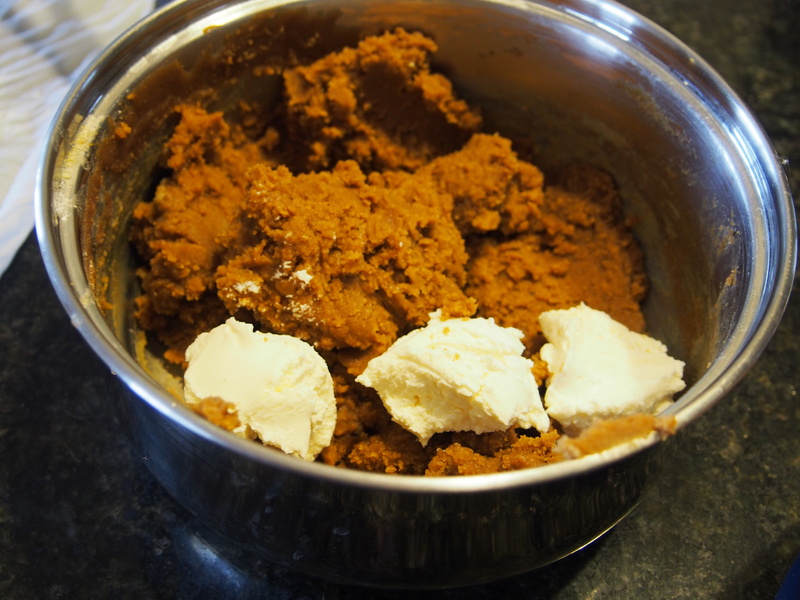 To make this recipe more cost effective, I substituted homemade yoghurt cheese. I placed around one cup of thick yoghurt into a piece of fabric (I used an old pillowcase, but chux wipes or even clean stockings work well). 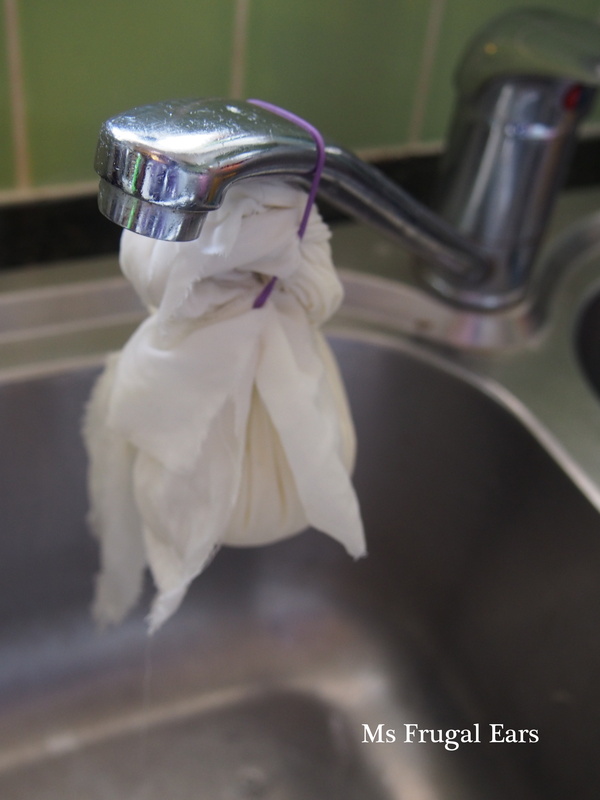 Tie firmly, twist then hang off the tap in your sink overnight. It will be firm enough to use by morning.